The rustically furnished rooms with new TV-SAT's (Console Compatible) of the Alpengasthof allow an inexpensive ski and hiking holidays in the Stubai Valley. Within the framework of half-board, guests are spoiled with a rich breakfast buffet, and a 3-course evening meal with choice. In addition, the entire house is a free Wi-Fi. Parking spaces are also sufficiently available in front of the house. Most rooms of the Alpengasthof Schallerhof feature shower and toilet. Whether single, double, triple or quadruple. 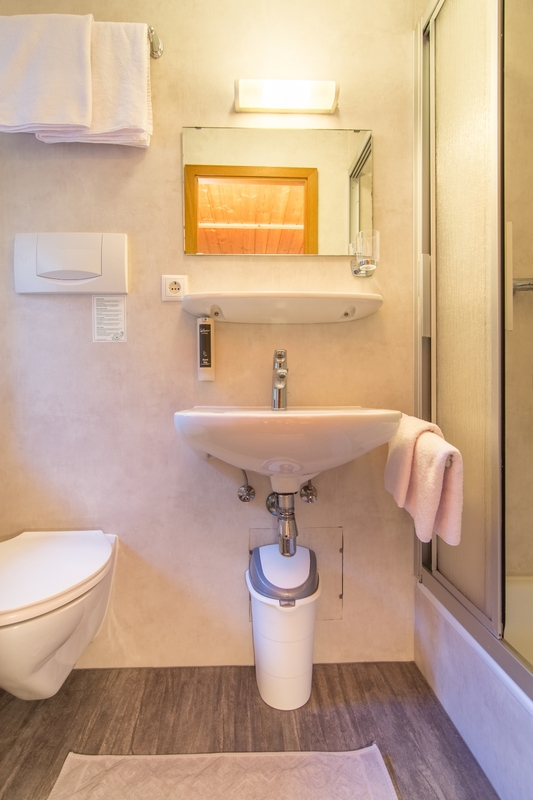 Rooms with shower and toilet on the corridor – the cheapest option! On the third floor of our Alpengasthof Schallerhof you can find the today still in alpine huts practiced tradition of the shared shower. 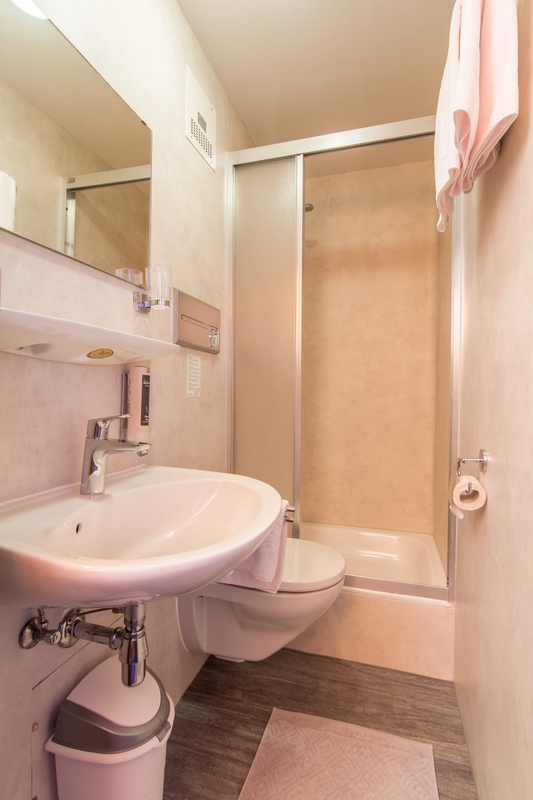 Equipped with 4 rooms (2 doubles and 2 triples) has this floor 2 showers and 1 toilet. These rooms are suitable for groups of 8-10 persons, families and individuals. Experience the pure quaint ambiance of our alpine guesthouse! 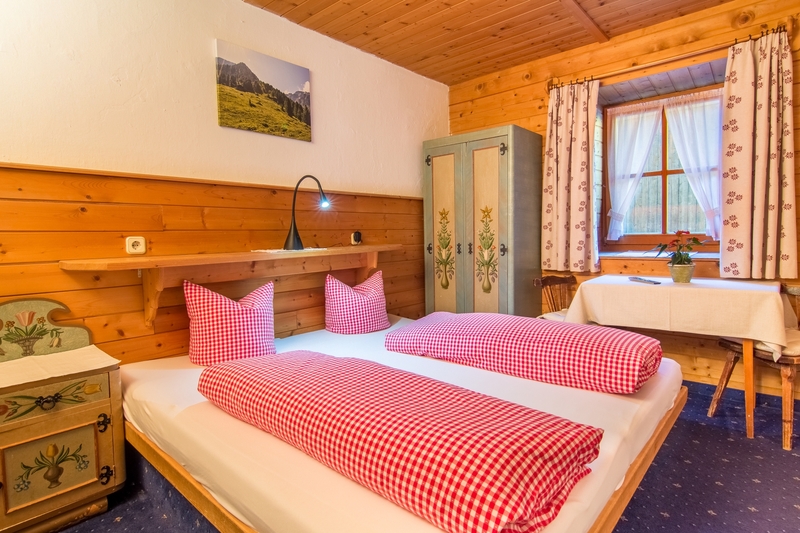 The Alpengasthof Schallerhof is therefore suitable both for individuals as well as families and groups.